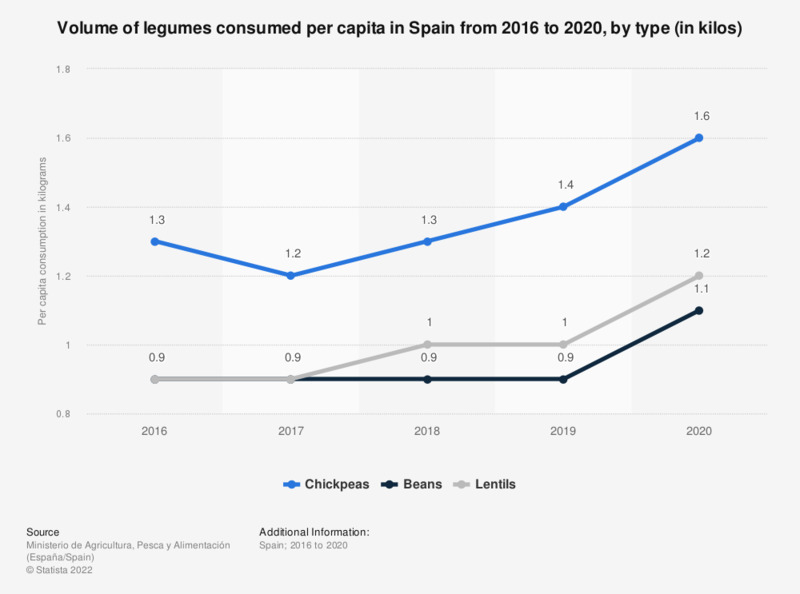 This statistic shows the data on the per capita consumption of legumes in Spain in 2016 and 2017, by type and in kilos. Chickpeas was the most consumed type of pulse in Spain both years, with an average consumption of 1.2 kilograms per person in 2017. Data for 2016 collected from previous versions of the report.